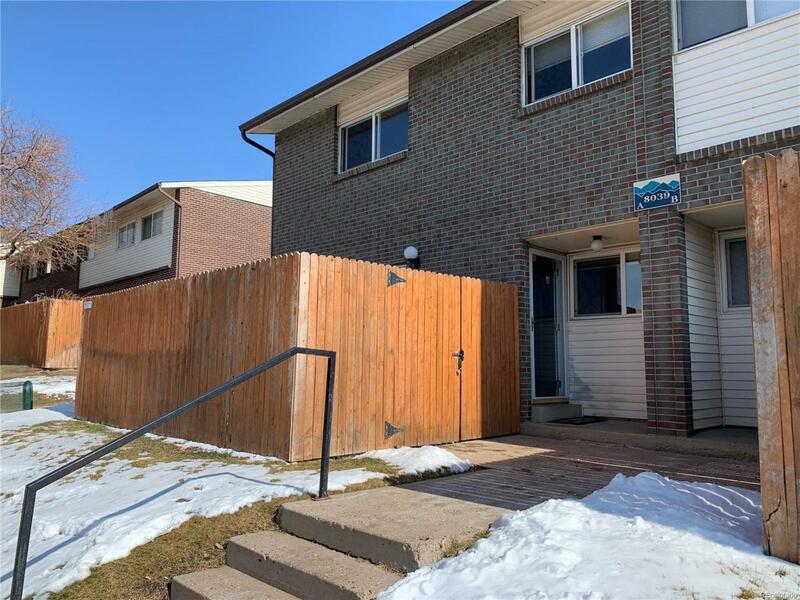 Nicely updated desirable end unit with fenced yard in well-maintained Westminster Homes. Newer wood laminate flooring in living room opens to nice patio w fenced yard. (Property is occupied but one picture of the living room shows the living area unoccupied to show flooring.) Tile floor in kitchen. Newer carpet in upper level. Central Air. Gas range. Updated light fixtures. New furnace in 2017. Newer water heater. Spacious master bedroom features 2 closets. Both bathrooms have been updated. New washer and dryer are included. Easy access to interstates and public transportation. Nice playground area. Includes one reserved parking space. Buyer to verify all HOA info. Offered by Ecologic Real Estate Llc.